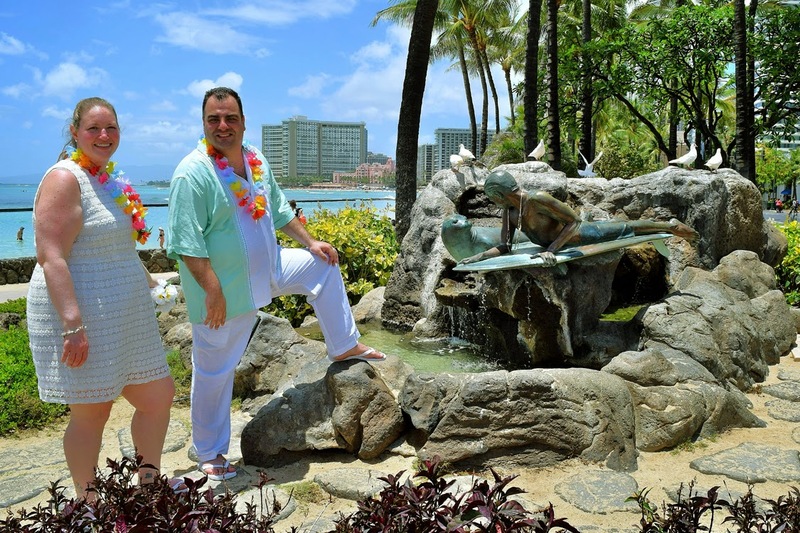 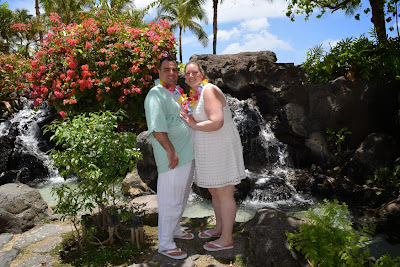 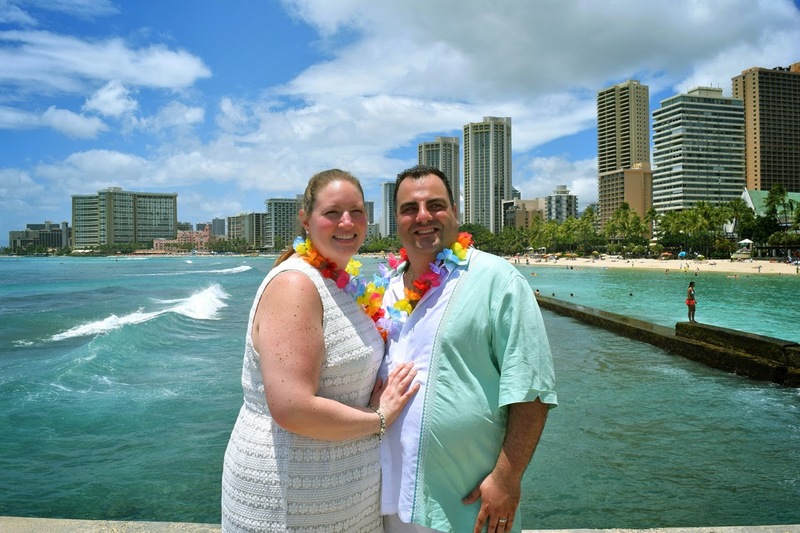 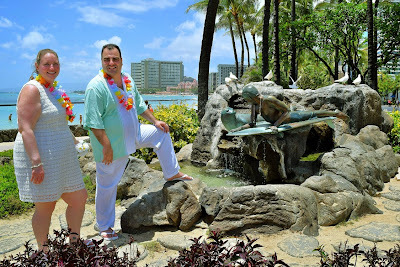 Our Photographer Allison does a fine job getting some fun shots of Sal & Teresa in Waikiki. Guaranteed to be their best souvenir from Hawaii. 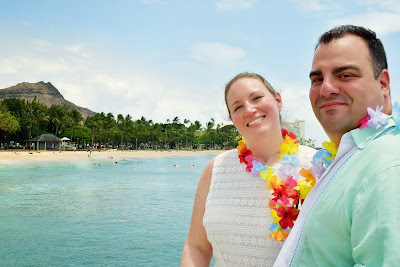 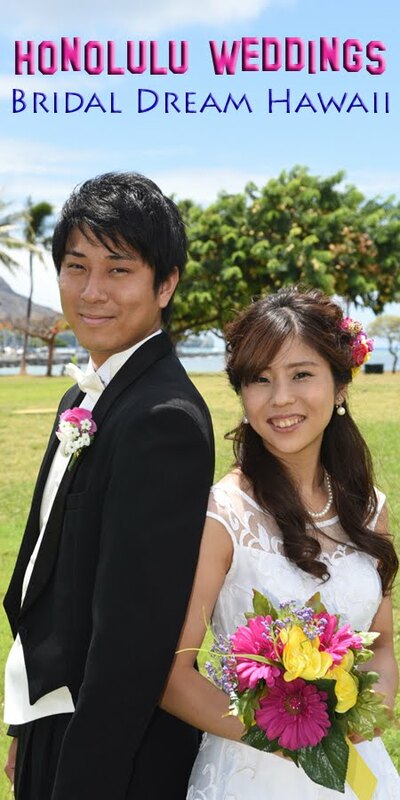 Certain parts of Waikiki can not be used for beach weddings but we can shoot honeymoon photos here.